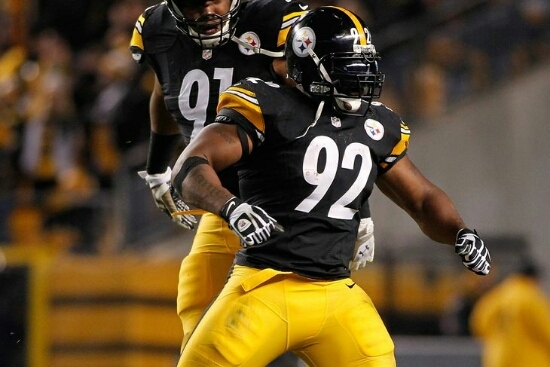 Is Harrison The Steelers Most Feared Defensive Player | "IT'S A STEELERS WORLD"! Ummm..”HELL YES”!!! On any team’s defense for that matter. ESPN’s Jeremy Fowler, the Pittsburgh Steelers beat writer asked the other three AFC North beat writers who they believe the Steelers’ most feared defensive player is at the moment, especially now that players such as Troy Polamalu, Ike Taylor and Brett Keisel have retired. Their answers? Pretty blunt and to the point, and so very true in my opinion. Now let’s move on..
Another true fact. But Harrison’s age of 37 does nothing to diminish his “FIF” (Fear Intimidation Factor). Like he stated a few months ago, he could be 50 and still play. Now, to the remaining team..
Leave it to a Cleveland Browns writer to go against the grain, and then try to touch up a bad haircut with a little extra bull! Although Cam is a strong choice here as well as inside linebacker Lawrence Timmons, but honestly..neither of them can hold a candle to ferocity and intensity of one James Harrison. “Dude Is Debo For A Reason”. But ask this question after this season, and you’ll see Antwon Blake creeping up that list for sure.